In the last half hour, that I have spent trying to write and get some actual proper grown up work done, Mini has ripped the phone out of its stand, tried to eat the phone, accidentally called a cab with the phone (or possibly on purpose, she’s a busy lady after all, places to go, people to see!) found an old supplement on the start of the Premier League this August that Dom was saving, eaten half of it, thrown the phone across the room, and knocked the laptop off the table for good measure. There’s only so much distracting via annoyingly repetitive musical toys and Dora the Explorer that one toddler can handle it seems. Left alone for 30 secs.Note the distinct lack of bowl! When Mini was smaller, she slept more. Also, she couldn’t really go anywhere so once you left her someplace, you knew at least that she wouldn’t move from it. Now she’s whizzing about, pulling her self up on tables, chairs and climbing into open dishwashers. It’s eyes in the back of the head time 24/7! 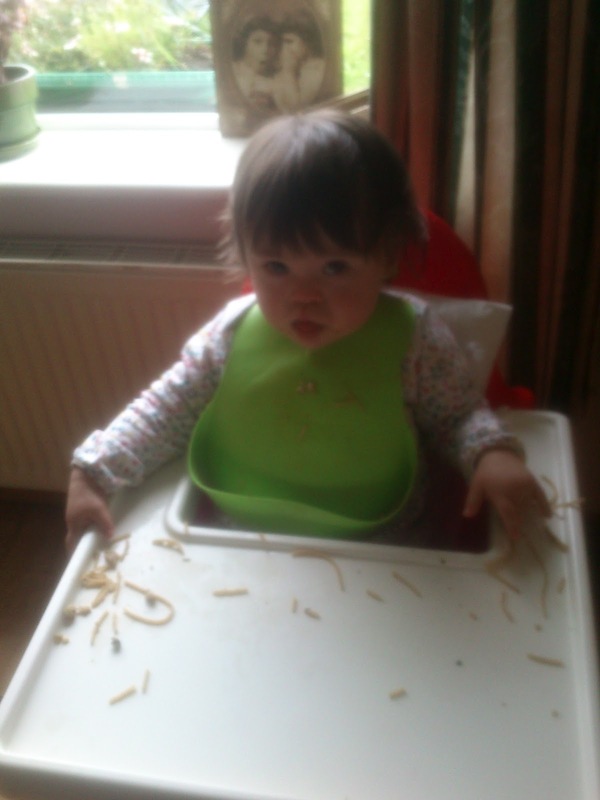 Working at home with a toddler then-it’s just not conducive to harmonious Mini & Mum living. My problem is that all this ‘work’ I’m doing, is for the most part unpaid. It’s promotions for the acupuncture and other bits and bobs that may strike gold financially speaking in the future but for the moment are coming up dry. Now I have no problem with working for free when there’s a higher purpose involved. It is after all, lest we forget, the closest the world has come to economic meltdown since, um, the last time! So working for free is not anything to be ashamed of. The trouble is, I have discovered much to my annoyance, that I seem to be the sort of person whose self worth is directly correlated to her financial independence and right now, I ain’t so much of an independent woman. Currently, I’m managing to schedule my acupuncture appointments around Papa’s working hours, since let’s be brutally honest, there’s not exactly a line forming outside the door of my fledgling practice. I’d quite like to put Mini in a creche for one or two mornings a week, to allow me to concentrate more on the writing and promotions side of things but I can’t afford to. Papa has taken on more financial responsibilities recently, so I don’t want to add to this list! It’s a bit of a head wrecking situation to be honest but at least it confirms something I have suspected all along-I am not built for either the position of full time mum or childcare provider. Those people possess a rare quality which will forever elude me-infinite patience in exchange for such little gratitude! ← Mini funds maybe, but big heart!